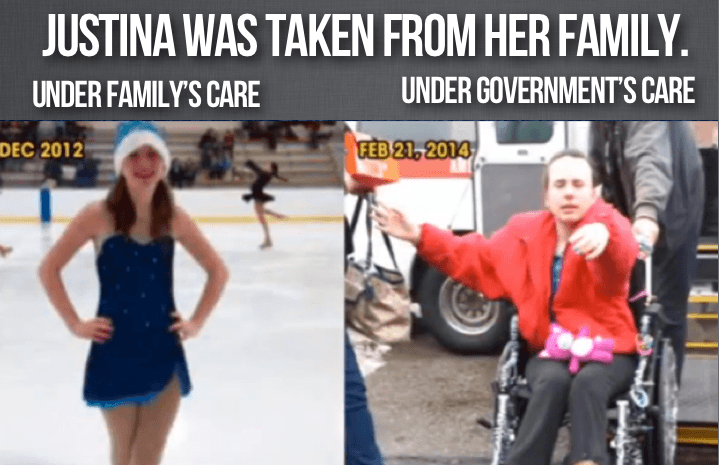 Justina Pelletier and Medical Kidnapping 4 Years Later - Has Anything Changed? The Story Of Martin Gottesfeld: The Hacktivist Who Faces 15 Years In Jail For Trying To Save A Young Girl’s Life The young girl was Justina Pelletier and he hacked the hospital's fundraising system on their main fundraising day in order to stop what was going on. I followed the original case because I knew of a similar situation here in Illinois, but I had not heard of the role of this young man in stopping the kidnapping. After reading the Daily Wire story I found your site. Maybe it is time to work together to bring more light to what is going on. I had no idea the Daily Wire was capable of real journalism, you learn something new every day. Has anyone recently thought of tweeting this to President Trump? Why? He's on the pro-child kidnapping side. Try a progressive who would actually care, like Senator Sanders or Candidate Alexandria Cortez. Heck, even a neolib like Warren would be more useful than Trump. Trump campaigned on populism, but he's governing like a neocon. I want to fix this too, but I think we need to address it through the legislature, not the executive. I'd say we should also work through the states, but they are the ones doing this. They are the ones with the financial incentive. My daughter was kidnapped by CYS for two years. We'll never get that time back. We were even sent to a TPR hearing early (they need cause to do this before a certain time period, but they faked that too). Once they went for TPR, we got an outside caseworker that they paid for (privatization actually did something right). It was supposed to be "parenting skills" education, but it was a way for her to prove we were good parents and to counter each one of their claims one at a time. Instead of reporting back to them, which would have allowed them to make additional claims, she held the evidence until we were in front of a judge and they could no longer change the accusations (thankfully, our judge was very no-nonsense). We had almost 400 calls to our private caseworker (I can't remember her exact title), one at the time we had to get our daughter up, one when we had to leave to get her to school, and one when we would get home after walking her to school). In addition, we added a word of the day, quote of the day, & a joke of the day. We took daily photos of us in front of the school to prove that our disability wasn't a barrier to getting her to school. We had the school secretary (no one could believe we got her to do this, but we later found out she hated CYS and their heavy handed behavior) sign a form saying we were on time every school day. In the end, our original casework had fled the state, the supervised visitation person was fired, and the judge ordered CYS to apologize. They pushed our case forward because they didn't want to admit that the casework falsified documents to gain access to a cancer patient's pain medication. We later discovered that he was a well known addict. Still despite weekly drug testing (for 8-12 months) of both of us to prove his allegations were insane, he was never drug tested once. They didn't even do the right testing for the medications we were prescribed, but they spend over $600 a pop anyway. The caseworkers, Masters (lawyer acting as a judge), assistant caseworkers, guardian ad litem, lawyers for both sides all went out drinking together. If that isn't shady, what is? What is the status of Justina’s case now? I tead that she wasn’t allowed to go home for Christmas last year, but I also read that she was freed in 2014...?